The game page is over Here. I finished my game “The Cycle” in time for the Compo, but I think my game falls outside some rules, so it’s submitted as a jam. Woo, first time officially participating and first time finishing! 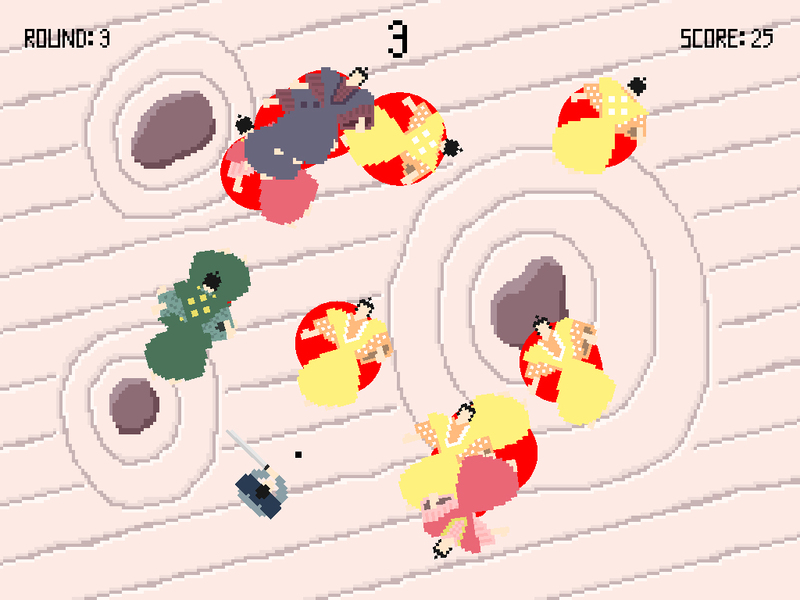 This is the first time I’ve participated in Ludum Dare officially, so that’s been fun. 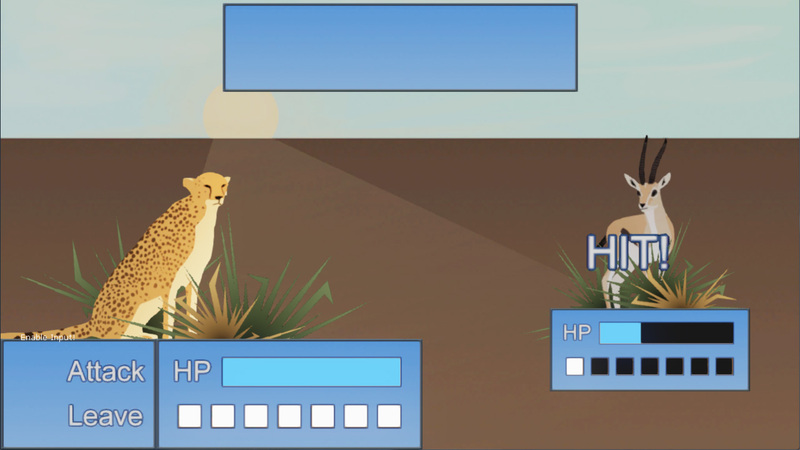 My game’s a simple jrpg about the predator / prey relationship between Cheetahs and Gazelles and the subtle evolutionary consequences. All that remains is to connect the meta game elements, and then add more UI and audio.